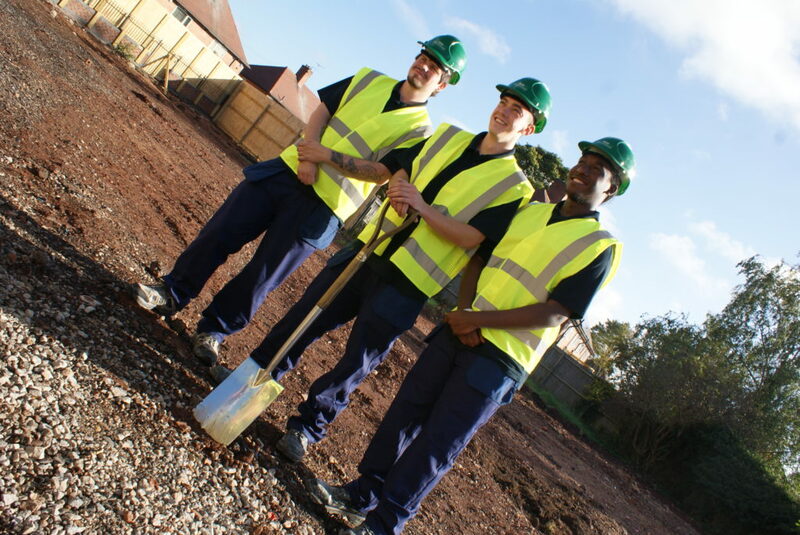 Nottingham construction firm Woodhead is partnering with social enterprise scheme BEST (Broxtowe Education, Skills and Training) and BESTBuild to offer residents in Broxtowe the opportunity to get into construction with 20 free training places which will enable people to explore a career within the construction industry. Woodhead is currently building four new bungalows on Denton Green where two former council homes have been demolished. The project is being delivered on behalf of Nottingham City Council (NCC) and Nottingham City Homes (NCH) as part of the Building a Better Nottingham programme. Woodhead are using apprentices and tradespeople from BESTBuild, which is based just across the road from the site and was established in 2010 to provide construction employment and apprenticeship opportunities for local people. Site managers and experienced tradespeople from Woodhead are on hand to guide the trainees, providing them with valuable site experience, as well as sharing their skills and knowledge. In addition Woodhead and BEST are now offering 20 training places to people from Broxtowe and Aspley Estates who are aged over 16 and interested in working in construction. The training which will take place on 12th December, is being funded by Woodhead, BEST and BESTbuild and will involve a one day health and safety course which will prepare attendees to apply for a CSCS card, which will also be paid for. A CSCS card is required by all tradespeople to work on a building site and will be a valuable tool in order to pursue employment opportunities. Site manager for Woodhead Tony Robinson said: “We are committed to supporting the local communities in which we work and this is especially important in Broxtowe. By partnering with BEST and BESTBuild to deliver this training we hope that we will be able to inspire local people to explore opportunities within construction. The training will take place on 12th December 2014 at BEST, anyone interested in finding out more about the opportunity should contact BEST Training on 0115 975 0084. Places are limited to 20 and will be offered on a first come first served basis.